Older games are often viewed with rose-colored glasses, and Deus Ex is a prime example. Though I consider the original to be among the three best games I've ever played, the story wasn't a strong point. It purposely approached conspiracy with a light tongue, giving theories about the arrival of little green men equal weight as concerns over social injustice. The atmosphere owed as much to The X-Files as it did Blade Runner. Human Revolution, in what may be a sign of the times, is a more focused and serious game. Rather than casting its net broadly, it narrows in on themes of social injustice, class warfare, and the abuse of power by both governments and corporations. The main character is also treated with more gravity. He's no longer a blank slate literally grown in a tube, but is instead a person who from the very beginning has deeply personal reasons for being involved in the plot. Such changes could be terrible if the writers weren't up to the task, but thankfully Human Revolution offers brilliant dialogue and an engaging story. While there are slip-ups here and there, there are few games that do better. In fact, Bioware could stand to learn from this game. There are many instances where a verbal confrontation occurs, and they're handled far better than any such conflict in the Mass Effect series. The skill of the writers behind Human Revolution is most evident in interactions with the game's central NPCs, all of which are interesting despite the wide cast of characters included. Even the pilot who shuttles you around has her own backstory, and is woven into the plot as the game progresses. What set apart the original Deus Ex was its non-linear gameplay. While the plot always advanced along the same points, each individual level was a playground full of opportunity. There were numerous ways to approach any problem and many secrets to uncover. Human Revolution does not disappoint. In fact, this game arguably offers more flexibility than did the original, and it does a better job of introducing the player to interesting scenarios and keeping gameplay interactive. Hacking, for example, now takes part in a puzzle mini-game that is fun and challenging. This is the first hacking mini-game I've ever played that remains interesting even after hacking numerous computers. Another step forward is the elimination of the skills system in favor of augmentations only. While some would argue this reduces character customization, it gives each player more freedom. In the original, players were forced to skill up a class of weapons and stick with them, but in this title switching from a sniper rifle to a stun gun won't put you at an unbearable disadvantage. That's not to say the game is perfect. Like the original, this title includes several boss fights against absurdly powerful opponents – and just like the original, these fights don't mesh well with the rest of the game. Pacing can also be a problem, as some of the cutscenes drag on for a bit. Guard AI can also be a problem at times. While opponents will often try to flank the player, and are quick to use special weaponry like grenades, there are also moments of stupidity. For example, guards have a hard time figuring out what to do when the player starts picking them off with a silenced rifle. They usually trip into "alarmed" state and wander aimlessly while the player picks them off. Yet imperfections such as these don't damage the experience. In fact, the AI's occasional stupidity is somewhat necessary, as it gives the player a chance to escape situations that would never be reasonable in reality. Come on – we all know that in real life, killing a few guards were likely tip off an entire facility to your presence, no matter how quiet your were. But this would make the game less entertaining, and in this case, I think its appropriate for fun to win over realism. Deus Ex: Human Revolution does not include a multi-player component, either competitive or co-op. While this may be seen as an oversight, it's not surprising. The original game also focused on its campaign to the exclusion of multi-player, which was unusual even then. This focus allows for a deeper campaign that can last as long as thirty hours, and because there are so many ways to approach problems in Human Revolution, gamers will be encouraged to play through it two or three times just to discover all of the secret and possible interactions. This is a review of the PC version of Deus Ex: Human Revolution, and if you're an experienced PC gamer, you're no doubt wondering how this game plays on the platform. After all, the game was released on Xbox 360 and PS3 as well – and recent games like Crysis 2 have biffed such cross-platform releases. You'll find no such shenanigans here. This game plays like a PC game should. Mouse control is sharp, the menus are easy to use, and the graphics are noticeably better on a PC than they are on a console, although some textures aren't as sharp as they could be. Even use of the cover mechanic is smooth. I will admit that the interface elements are not perfect for the PC, and a few features have been shaved off. The graphics options are a bit skimpy, for example, and navigating the main menu with the mouse feels the slightest bit laggy. The size of inventory and menu text is larger than it needs to be for a PC title, as well. These are mere nit-picks, however. You won't be spending most of your time in your inventory screen or the main menu. Instead, you'll be spending your time in-game, sneaking past or fighting with guards. The controls for that are perfect – a gamer who didn't know the game was coming out for consoles would never know that the PC version was developed alongside the console game. As the trailers indicated, gold is the new brown in Deus Ex: Human Revolution. Almost everything, both indoors and out, is cast with a golden hue that at once appears brilliant, yet somehow dirty. Given the dystopian setting this atmosphere works, although it does become a bit repetitive at time. At one point early in the game you'll enter a facility that's massive, but every single corridor and area looks more or less the same, which takes some of the life out of the experience. Another problem with the graphics is the texture resolution issues alluded to previously. While these are acceptable on a console, they don't pass muster on a PC game, and cheapen the experience. Perhaps my biggest beef is with the skybox textures, which are so uninspiring and blurry that they look as if they could have been stolen straight from the original Deus Ex. On the other hand, animations are well handled, particularly facial expressions. That's important to the games' verbal confrontations, as you'll have to read characters to judge how they might respond to your arguments. Sound is another strong point, as well it should be. The original game's soundtrack remains one of the most iconic game scores in history, and Human Revolution does nothing to shame that legacy. The voice acting is also top-notch, although I'm not sure if the main character's gruff but monotone voice – no doubt an homage to J.C. Denton, who was also known for his lack of emotion – suits this game as well as Denton's suited the original. Deus Ex: Human Revolution is a worthy successor to the original and a classic in its own right. By improving a formula that's ten year old, it manages to become a breath of fresh air, introducing open-ended gameplay that's unlike the linear scripted sequence slogs found in most of today's action games. Better yet, developers have managed to modernize and improve the game, which means it will appeal to anyone – not just die-hard fans of the original game. In fact, unlike many reviewers, I will contend that this new version is actually superior to the original. Everything that made Deus Ex a classic is included here, for better or worse, but Human Revolution also makes numerous improvements. The story is better, the voice-acting is excellent even by today's standards, the music remains solid, and interaction with NPC characters has been taken to an entirely different level thanks to the introduction of verbal confrontations and the game's excellent writing. Does that mean Human Revolution will be viewed as favorably as the original ten years from now? I'm not sure. There's far more competition today, which means even great titles don't stand out as readily as they once did. However, I do think that this game will find itself a niche following just like the original, because despite the passage of time, the gameplay of the Deus Ex series remains unique. There's nothing else like it – at least, there won't be until the inevitable sequel to Human Revolution hits store shelves. 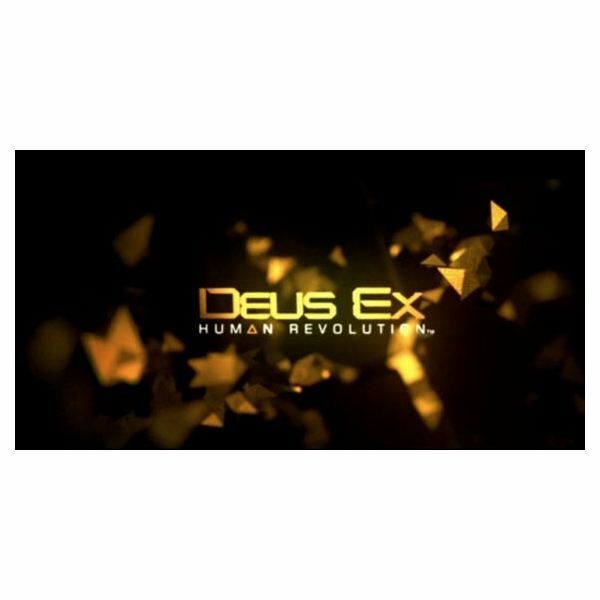 A collection of reviews for Deus Ex: Human Revolution.